Eugene “Gene” B. Metcalf, 88, of Wahpeton, ND, passed away Monday, March 25, 2019 at St. Catherine’s Living Center in Wahpeton, surrounded by his family and friends. Visitation will be on Thursday, March 28, 2019 from 5:00 PM to 7:00 PM with a prayer service at 7:00 PM at Vertin-Munson Funeral Home in Wahpeton. Visitation will continue on Friday, March 29th from 9:00 AM to 10:00 AM followed by the funeral service at 10:00 AM at Evergreen United Methodist Church in Wahpeton, with Rev. Jen Tyler and Rev. Peder Anderson officiating. Burial will be in Fairview Memorial Gardens in Wahpeton. Arrangements are entrusted to Vertin-Munson Funeral Home. Eugene Burl Metcalf was born November 30, 1930, to Nelson and Margaret “Oneida” (Thompson) Metcalf in Ainsworth, Nebraska. Eugene was an infant when the family moved to Barney, ND, where he grew up and attended Antelope Township Consolidated Country School. Eugene worked on the family farm with his parents and uncle. He served in the United States Air Force from July 1951 to May 1954, where he was stationed in Washington D.C. during the Korean Conflict. He married Marlene Farup on June 11, 1955; there were six children born to this union. 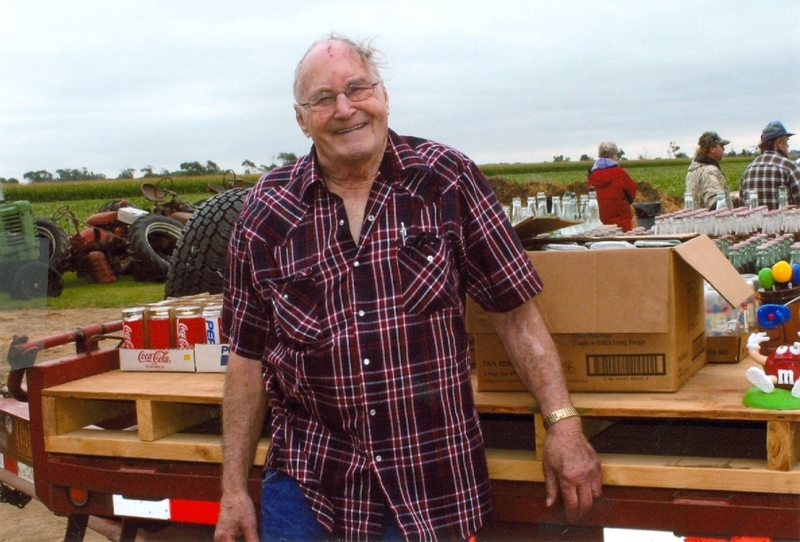 Gene worked as a truck driver for Mayflower Moving and Storage, Rustad’s Sand and Gravel and Fairway Foods in Fargo, ND, retiring after 25 years. In 2010 Gene moved into Wahpeton. Gene was known as a “collective hoarder” by his family and friends; driving many miles to find the best possible deal. He enjoyed planting a large garden every year, canning and freezing his harvest. He was a member of the American Legion, El Zagal Shriners, and Masonic Lodge. Eugene is survived by his five children, Bryan (Edie Nelson) Metcalf, Barney, ND, Marston (Sherri) Metcalf, Breckenridge, MN, Melonie (Mitch Rhodenbaugh) Metcalf, Wyndmere, ND, Lee (Sheryl) Metcalf, Perham, MN, and Steve (Barb) Metcalf, Dayton, MN; 17 grandchildren; 21 great-grandchildren; and several nieces and nephews. He was preceded in death by his parents, Nelson and Margaret; his oldest son, Randall in 1985; his brother, Gail Metcalf; and his daughter-in-law, Anna Metcalf.